I, like Pat from Albany, NY bought this mattress in the mid nineties and have not been able to find it again. It is a wonderful bed and every one who sleeps on it comments. It is a guest bed with fairly heavy use. I want another one for my own use. I don't know where I got it or how much I paid for it. I guess they are no longer made. ?? Mattress companies change models so often that we'd be very surprised if you could find the exact same product you bought 15 years ago. However, Therapedic Medicoil mattresses are still being made and can be found if you really want one. For example, we found the Medicoil Elegance here at Long's Bedding in New York City. Thanks for adding to the conversation Deb! Where do I buy a new one? 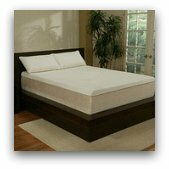 I have had the Therapedic Medi-Coil Posture Control 3000 mattress in a King size for many years. I wish to buy a new one but I live in Alabama and am unable to find a supplier. Where would you suggest that I look? We can't provide you with the location of a mattress retailer in your area, but we would suggest starting at the Therapedic website. You should be able to find out how to contact the company and ask them directly. The website may even have a list of their retailers. Also, many of their products are sold at Bed Bath & Beyond so you could ask someone who works there, if you have a store nearby. Hope this helps. Join in and write your own page! It's easy to do. How? 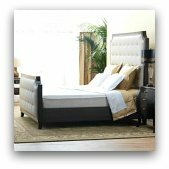 Simply click here to return to Therapedic Mattress Reviews.